This topic has 4 voices, contains 7 replies, and was last updated by Bruce 2537 days ago. 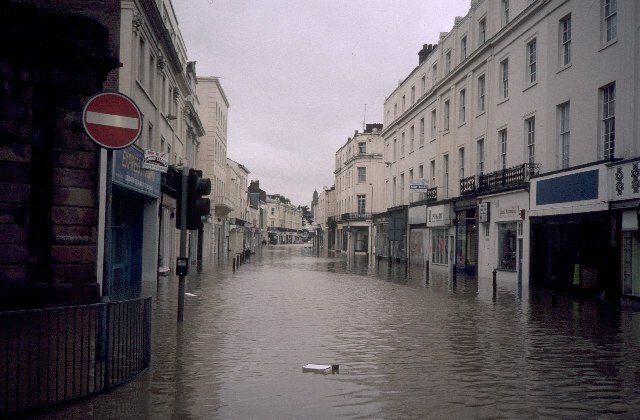 If they want it to rain all they need to do is announce a hosepipe ban! So today we have monsoon season. They say April showers make May flowers, which means we can look forward to some spectacular herbaceous borders. It will certainly look pretty all in bloom outside our marketing department window. A week ago the River Leam was a turgid trickle, now it is in full spate. Huge masses of water trucking over the weir in Jephson Gardens. And now we have one day of sunshine before monsoon season resumes again this evening. So it is a full 10C warmer, which requires a completely different wardrobe. Step out of the front door of our offices and cross the road and you are in a park that is basically a field. At the other side is the River Leam, which has now risen by several feet. If it rises much further we will not be able to get into the office! Maybe this could inspire us to make a game with water physics in it. I know one member of staff who is keen to make such a game! I remember the floods. I almost didn’t get back from Codies that night because of all the flooded roads. All the landrovers etc. in the area were being pressed into action to rescue people. 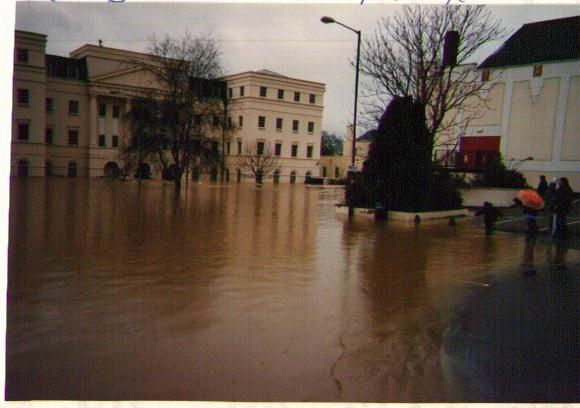 I used to live on Leam Terrace and the basement of my building got completely flooded. There’s a restaurant just a couple of buildings down the road from Kwalee which was completely submerged. The french chef was sitting outside, talking to the people gawping at his misfortune, and he was vowing that they would return, but I think it changed hands afterwards. Wow, when did this flood happen? And I dont know if that would happen again, surely they have taken precautions against this kind of thing? David Darling had a new car in his garage that went underwater, so the car was a complete write off. And they can’t stop it happening again. If there is enough rain it has to go somewhere.